October 28, 2015 by Beeraj Patel, Esq. 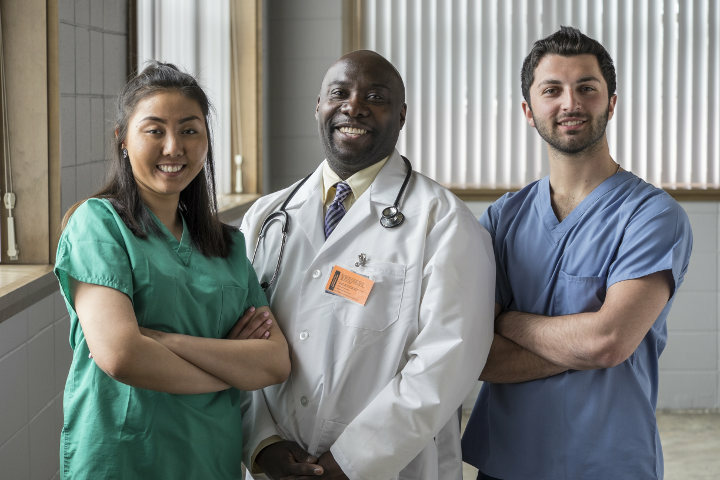 An individual who has received training or performed graduated studies in the United States, such as a J-1 medical doctor and holds a J-1 exchange visa, is usually ineligible to apply for a nonimmigrant visa or a Green Card. However, that is not the case if he or she has spent two years or more in a home country after completing the J-1 exchange visa. The requirement that an individual return home, or to a country in which previous residence was held before an individual received j-1 status, refers to the Home Residency Requirement, which some know as HRR or the 212(e) requirement. There are four methods in which the two year Home Residency Requirement can be waved. For medical graduates, there are three methods, which are defined as Foreign Medical Graduates or FMG’s. Take note that only the common waiver options used by Foreign Medical Graduates are being highlighted. A popular wavier option used by Foreign Medical Graduates is the time that will be spent at a particular medical area or facility. There is information on state programs found below. In order to participate in the program, the physician who is applying must have employment already set. Furthermore, the employment must begin at the medical or health care facility within 90 days of the waiver that has been received and not the j-1 visa expiration date. In addition to this, the individual who will be employed must be fulltime as it pertains to the H-1B nonimmigrant status. The facility must be in an area that is designated by the HHS, which is the United States Department of Health and Human Services, as a Medically Underserved Population (MUP), a Health Professional Shortage Area (HPSA), or a Medically Undeserved Area (MUA). There is a database that is maintained by the United States of Health and Human Services that shows shortage areas. Besides this, people are welcome to visit the 3RNet website that is a national database that highlights various placements for programs including this one. People who want more information can select “Search Opportunities,” and click on the “Search Only Health Professional Shortage Areas – HPSAs.” When this is done, people can learn about eligibility of rural areas on the country. The website is: http://3fnet.org. If a home government funded his or her exchange program, an individual needs to receive a “no objection” letter from the home country. The clinical care and health research program, which is featured within the United States Exchange Visitor Program, is managed by the United States Department of Health and Human Services. There are type different types of waivers that the program accepts. The first waiver pertains to the type of research that is performed in a high priority area or one of high interest to the agency. The second wavier pertains to the need of health care services that are needed in a Health Professional Shortage Area. The Appalachian Regional Commission which some know as the ARC and pertains to 13 states within the area. While the region applies to the entire state of West Virginia, there are parts that pertain to 12 other states. Those states are South Carolina, North Carolina, Alabama, Mississippi, Georgia, Kentucky, Tennessee Virginia, Maryland, New York, Pennsylvania and Ohio. There are links as found below for more information about each program within a state. Delta Doctors is in various parts of eight states, which are Alabama, Mississippi Louisiana, Arkansas, Tennessee, Kentucky, Missouri and Illinois. Found below are links to each state, and there is a list of state contacts can be found at the United States State Department. Here is a list that can be consulted if a state website does not provide beneficial information concerning a contact person.